The Annual Scientific Meeting and AGM will be held at the Royal College of Physicians on Thursday 10th and Friday 11th December. The first day will of course be an updated version of the training day: Twenty short 10-15minute focussed updates. Easy to understand and never boring. A new system allows you to download PDFs of the lectures after attendance. 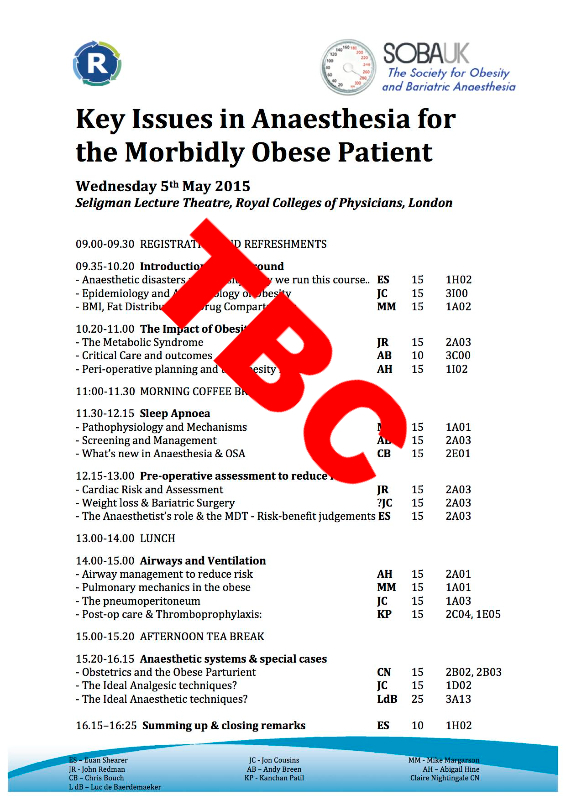 Ever popular and this sells out very fast with those consultants seeking CEPD and trainees looking at ways of developing bariatric experience. The second day will be more topical and scientific lectures, debates and reviews. the opportunity for posters and presentations is a big draw for trainees and consultants alike.